Meet Pudding (A117725)! 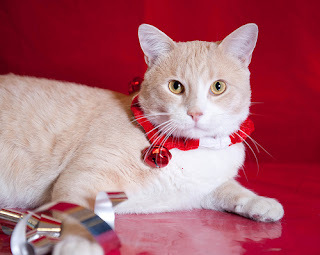 He is a handsome, 3 year old, neutered male fawn tabby and white with a lot of personality. He finds anything within his reach to be a toy! Needless to say, he is easily entertained. He is looking for a home with an experienced cat owner as he is an exuberant player and can get a little too rough with his play behaviour. He would be suited in a home with older children who can help teach him how to play gently. He needs a very large litter box to support his larger body and give him space to cover things when he is done. People have been known to say he is a dog trapped in a cat’s body. He enjoys following you around the home and greeting you at the door. 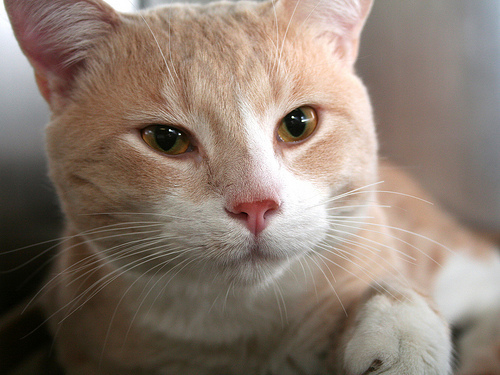 Does Pudding sound like to purr-fect feline friend for your home? Visit with him at the shelter today to see if he is the right match, or contact us at 613-725-3166 ext. 258 or at adoptions@ottawahumane.ca.